Lowest price guranteed on all orders. Next day dispatch on all orders. Secure shopping on all orders. REV'IT Stewart Leather Motorcycle Jasket. The Stewart embodies the back to basics principles if youre after a clean and cool black leather jacket. The pull up buffalo leather breaks in quickly to get that vintage look going. And by incorporating our extremely thin SEESMART protectors, we kept the silhouette of the Stewart close to casual, with the option to upgrade by installing our SEESOFT CE-level 2 back protector. The detachable thermal liner allows you to enjoy the Stewart jacket in colder riding conditions. And with the liner removed, you can adjust the silhouette with the waist adjustment straps. Connect the Stewart safely to your jeans using the short connection zipper in combination with our Safeway belt, and keep your essentials close with to the various pockets. Prepared for SEESOFT CE-level 2 back protector insert - Type RV. Features: comfort cuffs, stretch lips at back, upper arms, elbows and shoulders, stretch panels at arms and chest, short and long connection zipperREV'IT Masaru Jacket. The REVIT Masaru Jacket adopts Masaru suit styling and offers it to those prefer a jacket. The combination of dual-comp protectors and CE-level 2 rated Seeflex protectors at shoulders and elbows provides up to spec impact protection that is upgradeable with a Seesoft CE-level 2 back protector insert. For chillier days the detachable thermal liner offers warmth, and once removed allows air to pass through the semi-perforated outer shell. The short and long connection zippers allow a rider to combine the jacket with any REVIT pants. With the use of the REVIT Safeway belt, the Masaru jacket can also be combined with REVIT jeans. Note: The REV'IT Masaru Jacket runs large and we suggest going down if you are between sizes. Insulation: detachable thermal body warmer. Outer shell: 88% leather, 11% polyamide, 1% elastane. Lining: 98% polyester, 1% polyamide, 1% elastane. Thermal liner: 100% polyamide, 100% polyester insulation. Seeflex CE protection at shoulders and elbows. Seesoft Back Protector -Type RV. Type RV / Size 03 fits 46-48. Type RV / Size 04 fits 50-54. Type RV / Size 05 fits 56-58. Adjustability: adjustment straps at waist. Ventilation: partly perforated outer shell at front, back and arms. Features: comfort cuffs, stretch lips at back, upper arms, elbows and shoulders, stretch panels at arms and chest, short and long connection zipper. PLEASEREAD THE FOLLOWING IMPORTANT CUSTOMER INFORMATION. ITEM DESCRIPTIONS: Our descriptions are ascomplete as possible. Please take into consideration weekends and holidays when estimatingshipping time. Average transit time to all EU countries NEXT DAY byUPS EXPRESS (excluded holidays). PHONEnumber is is necessary for UPS service. We will notship to PO Boxes. Please provide physical address for UPS services. S responsibilityand vary by country/location. The manufactures we represent carryindividual warranties on their products. We stand behind these products andwill work with you to overcome any issue. All authorized return merchandise must be unused and in itsoriginal saleable packaging. It is the responsibility of the customer/installer to verifythe correctness of size and application of the parts before installation. Wecannot be held responsible for parts ordered for the wrong application. Please read product specificwarranty terms on manufactures websites. Areplacement for a defective item will be sent out after the original item isreturned and examined. YOUR FEEDBACK MAKES AHUGE IMPACT ON OUR TEAM. PLEASE GIVE US 5 STAR RATINGS. S LENGTH TO HELP YOU IN ANY WAY POSSIBLE. Thankyou for your continued support! Alpinestars Tech 10 Maggiora Nations Lim.. Oxford Motorcycle Hot Grips Cruiser Free.. Oxford Motorcycle Hot Grips Premium Crui.. Oxford Motorcycle Hot Grips Premium Spor.. Oxford Motorcycle Hot Grips Premium Tori..
Cardo Scala Rider Q1 Teamset Intercom Bl.. OEM YAMAHA XVS1300 Custom Stryker Boulev.. NEW OEM YAMAHA GRIZZLY YFM700 YFM550 FRO.. FMF POWERCORE 2 SILENCER YAMAHA YZ 250 2... Join our exclusive newsletter for up-to date news, special offers and new arrivals. Get in touch with us. 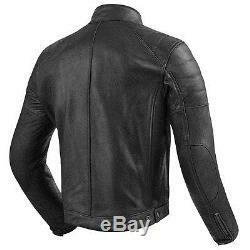 The item "REV'IT REVIT Stewart Leather Motorcycle Jacket Free Express Eu Delivery" is in sale since Wednesday, April 05, 2017. This item is in the category "Vehicle Parts & Accessories\Clothing, Helmets & Protection\Motorcycle Clothing\Jackets". 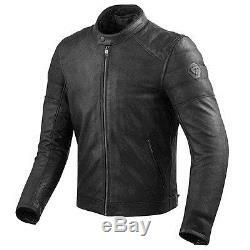 The seller is "moto_outlet_shop" and is located in London. This item can be shipped worldwide.